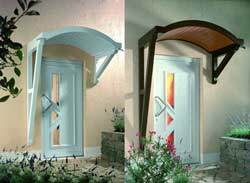 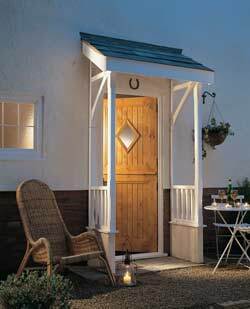 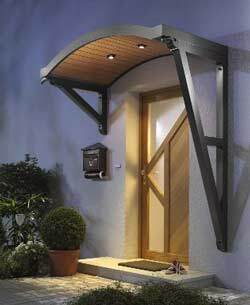 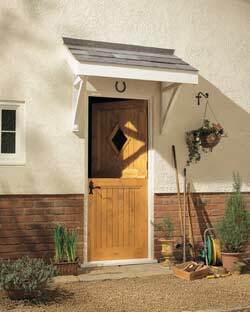 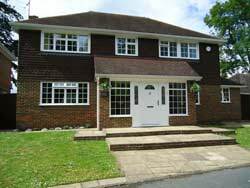 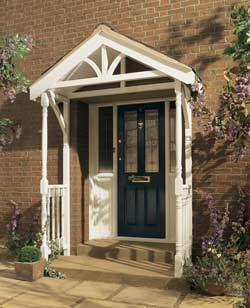 A canopy or porch provides both decorative and acts as an effective protection and shelter from the weather. 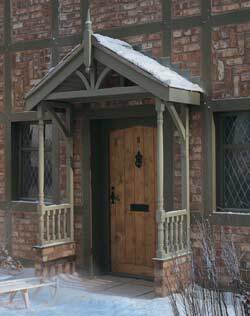 It draws the eye to the main entrance of the house. 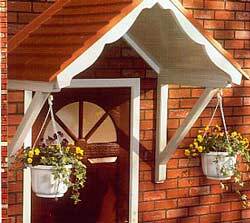 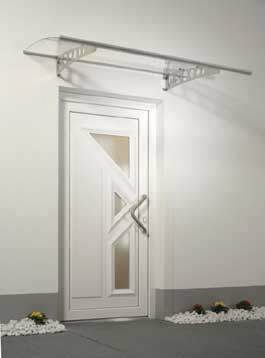 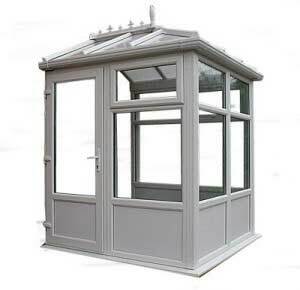 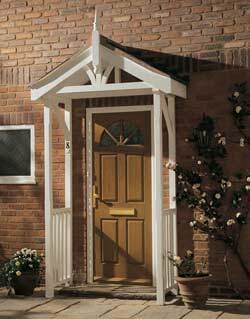 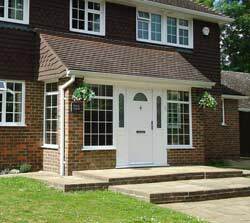 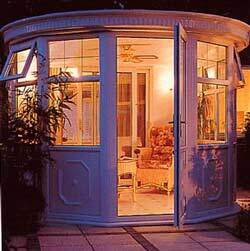 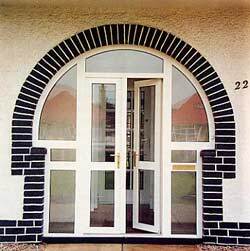 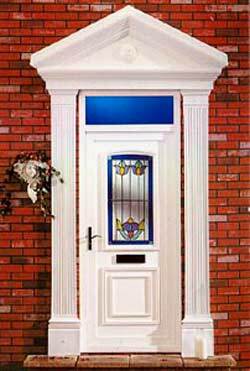 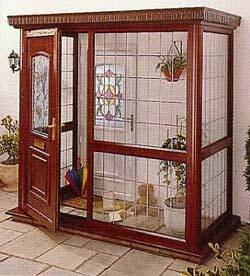 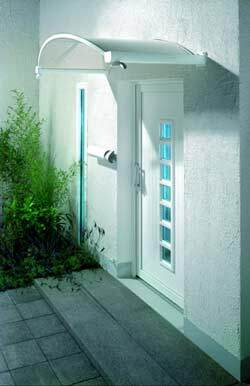 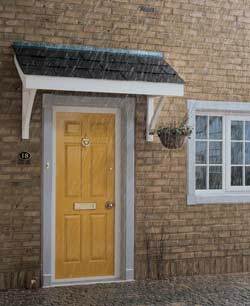 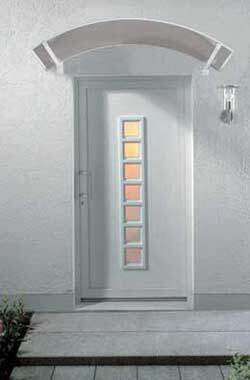 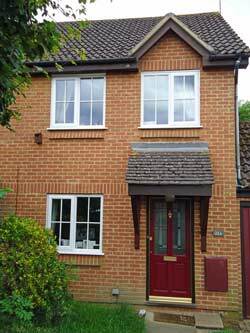 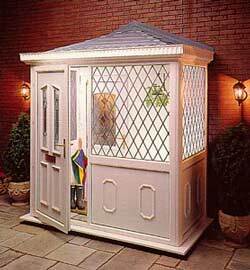 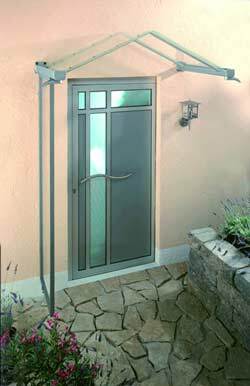 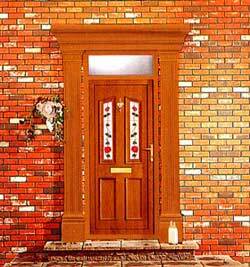 Styles range from enclosed PVC to stone and from brick to open timbered frames that can even be glazed.